The Empire star was hospitalised after being targeted in the early hours of Tuesday morning (January 29) in Chicago. 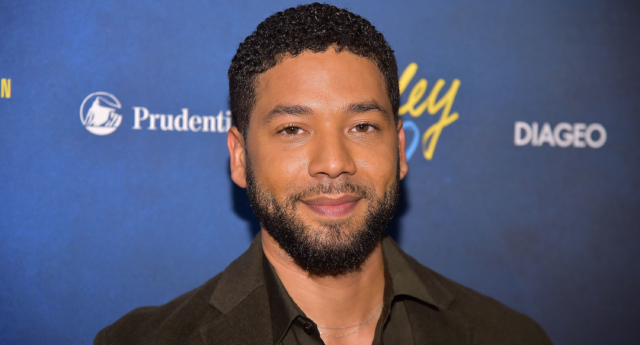 Smollett was reportedly beaten by two men in the incident, during which he had a chemical substance poured on him, a rope wrapped around his neck, and was subjected to homophobic slurs. Chicago police spokesman Anthony Guglielmi told local TV station ABC7 that according to Smollett, his attackers yelled “MAGA country” during the assault. MAGA is the acronym for President Donald Trump’s campaign slogan, Make America Great Again. Harris, who is running for the Democratic presidential nomination, said: “Jussie Smollett is one of the kindest, most gentle human beings I know. I’m praying for his quick recovery. Multiple high-ranking Democratic lawmakers have spoken up in support of Smollett, who came out as gay on The Ellen Degeneres Show in 2015. House Speaker Nancy Pelosi tweeted: “The racist, homophobic attack on Jussie Smollett is an affront to our humanity. No one should be attacked for who they are or whom they love. Former Vice President Joe Biden said that “what happened today to Jussie Smollett must never be tolerated in this country. California congresswoman Maxine Waters said: “Jussie is my friend—a very talented & beautiful human being. “It is so hurtful that homophobic haters would dare hurt someone so loving and giving. I’m dedicated to finding the culprits and bringing them to justice.